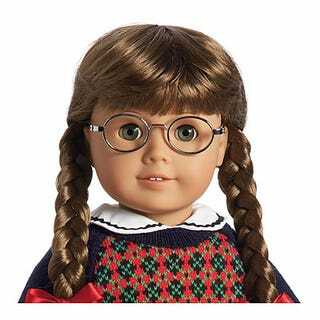 Should I Sell My American Girl Dolls? A facebook friend posted this Buzzfeed article about it. Apparently, they recently retired Molly! I also have the already retired Kristen and the article notes that Addy might not be far behind because she was released in 1993. Mine is signed by the author of the books which might make it more collectable? They aren't in mint condition but I was always very careful with them and they are carefully put away. Welp. This is making me think way too much about how I'm turning 30 this year and am not where I want to be in my life. THANKS DOLLS. Anyway, should I sell these dolls that I'm now angry at? ETA: You guys are solidifying my initial decision to not sell them. I might try and sell some of the modern outfits I got for them?